Jimmy Wang Yu as the Red Lantern, Madam Yu (the gorgeous Gwok Siu-Chong) and the various government forces out to squash rebellion, this muddled exercise hints at workable depth and could've provided a fine pairing of the leads. But with an uninspired Ding Sin-Saai at the helm, it's no wonder Wang Yu isn't able to inspire with some furious action. Drug dealer Tung (Dion Lam) is caught by Hong Kong police but lost when he's supposed to be handed over to the authorities in the Philippines. Hong Kong cop Dragon (Robin Shou) and his partner (Yukari Oshima) has to fight through the bureaucratic tape but is aided by one the local officers (Phiilip Ko). Uneasy alliances, psychotic criminals, a lame view of the high class gangster world plus multiple excursions into gunplay, Phillip Ko for once gains a whole lot of momentum when turning to the Philippines. Before we had a way too straight, static and basic action frame, something Fatal Chase is supposed to know how to put in overdrive. Change locale and matters are still equally flat, laughable BUT a few times more fun in its attempts to be creative. Ko loads up the squibs with a healthy amount of blood, features a male and female tag team of assassins that loads guns for each other and oodles of poor editing in attempt after attempt to create acrobatic gunplay. But the key is energy, intensity and there is evidence of matters being played for laughs so Phillip scores a good amount of hokey points whatever his intentions across the board were. Also with Waise Lee and a villain looking like Wayne Newton. 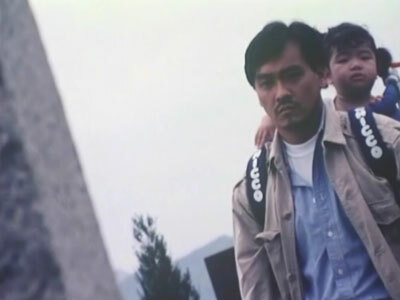 The effect of showing real photographs of young AIDS-victims is evidence of Hugo Ng preaching but the story is certainly filled with the type of aspects in need of re-telling. His other sensible decision is to shoot in synch sound but nothing else in Fatal Encounter registers. In fact, there really is a rookie feel to the drama and ultimately Ng's severely trips over his drawbacks. 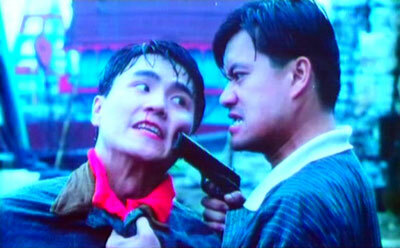 The gloomy atmosphere is in Mainland China where soldiers and characters overall are no less than evil. On the flipside, Hong Kong is bright and about to be tainted, a possible symbolism in Ng's frame but an ultimate example of him trying to create something relevant comes during his own role as a gay (and very flamboyant) insurance salesman. Making sure to inject prejudice towards homosexuals therefore, this all would of course be difficult for any filmmaker but the fact of the matter is that Hugo is reaching way too high. Not even the grave darkness and tragedy matters despite not being overdone soap-style. Even though final emotions are better aimed, Fatal Encounter is way too ambitious for only your second movie. There's not many movies to truly dislike that features the flying guillotine but a standard to even subpar showcase outside of the cinematic execution of said weaponry doesn't warrant a full recommendation in this case. A couple of threads, among others Carter Wong taking care of his sick mother and Shaolin monks after Chen Sing and the titular weapon (dubbed the Lightning Strike), come together in a fairly coherent way and the martial arts is executed well to a degree. Intricate but not punching through with intensity, some sections are even poorly put together and clunky. Shame to waste effort/that there is none at points and while you pay attention to the fun sight of a dozen or so heads being taken off by the guillotine, it's a movie that comes and goes in interest during the viewing. And certainly after. One of the better all round mixtures at IFD post the ninja cut and paste-era thanks to attention to quality action both in the source movie and surprisingly in the footage Charles Lee directs. For once casting a female lead (Allison Lundgren), she watches over undercover cop Ben who's trying to bust a drug smuggling operation lead by Jonathan Isgar's Tony West. His right hand man Lau in the other movie deals with the actual operation on the ground so they never interact other than on the phone but with a storyline of a common man stumbling upon this operation and now fearing for his life, stage is set for action. Source movie may have its stretches of inactivity but delivers a steady stream of vehicular and fight action. Most of good quality with an eye for the gritty. IFD goes the gunplay route and tries to be a bit more intense in that area with automatic weapons and quite a lot of squib work. Plus hilarious and profane dialogue wraps this package in a familiar feel. It's the feel of Joseph Lai and IFD doing the cut and paste thing again in a general sense but the feel of quality across the board is present as well. Wayne Archer also appears. Also knows as Warriors Of America 2: Fatal Glory. Stephan Yip debuted with the solid suspense thriller Missing Man and continues to deliver serious in tone, well shaped Hong Kong cinema with Fatal Mission. While action oriented for sure, it never strays but the story setup to violence, not action. Yee is strong in the role of a man losing it slowly but surely and action director Alan Chui (who is one of the gang of rogue cops too) delivers hard hitting sights including daredevil like fire gags and short bursts of fights with often gory sights. Saskia Van Rijswijk is perfect as the leader of the rogue cops. Also with Ricky Yi and Frankie Chan. 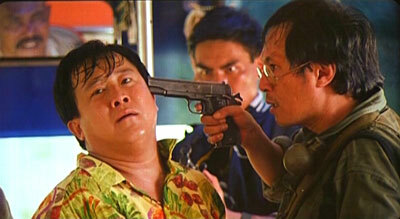 The crime fighting team of Man Hu (Don Wong) and Chau Lung (Lo Lieh) are separated as the latter dies. Man Hu heads right into depression and develops a lowly, cowardly character. Drug smugglers headed by Chung Tung (Chang Yi) terrorize his now lawless environment and Man Hu needs to snap into action to save his fellow men and himself. Told with a surprising amount of doom and gloom by Lee Tso-Nam, it's welcome even if it's not refined drama by any means. But Fatal Needles Vs. Fatal Fists shows a low budget indie could still make you think a little and coupled with sparse but quality martial arts, it's an eye brow raiser amidst a busy genre. But this is intensity I find extremely thrilling, not ashamed to admit that and Kam doesn't let go until the very end, having fired off extensive bullets and gore by the time the final credits roll by. Big ups goes out to Moon Lee who is very dedicated to the emotional state of her character, be it big or subdued. Simon Yam, Robin Shou and scenery chewing Phillip Ko also stars. Action-drama about a group of Hong Kong tourists in the Philippines that are taken hostage by a local rebel group. Unexpectedly grim and dark coming from Eric Tsang which is why Fatal Vacation ranks as an interesting but flawed 90 minutes. Tsang throws in the odd commentary about the cynical media and the importance of uniting but overall it's a character drama of shaky proportions on offer here. Writer Nam Yin gives sufficient backgrounds to the people from different walks of life that comes together in the face of this hardship but Tsang, while doing passable work, isn't up to the task of getting the drama to greater heights despite good performances from himself and Tommy Wong. Cinematographer Jingle Ma provides some well-captured images in the Philippines and the action by Ng Min Kan shows an eye for destruction but unfortunately not style as such. Co-starring Irene Wan, Victor Wong, Tang Pik Wan and Nam Yin. It's quite a task to try and follow in the footsteps of an effort such as A Touch Of Zen but director King Hu successfully did it with The Fate Of Lee Khan. Largely set in the iconic setting of the inn, also featured to great effect in Come Drink With Me and Dragon Inn, Hu has a much smaller, intimate story to tell despite the rulers vs. the rebels plotline. He almost delights in being tedious for a good 40 minutes as he shows the inner workings of the inn, its sometimes dopey guests and adding a little humour in the process. But as soon as the mighty and ruthless Lee Khan (Tien Feng) and his entourage arrives, King kicks the tension into high gear and doesn't let go. Staging within a single location is thoroughly captivating, edgy and his prior light touches only sprinkled with what's to come aids these latter sections of the film greatly. 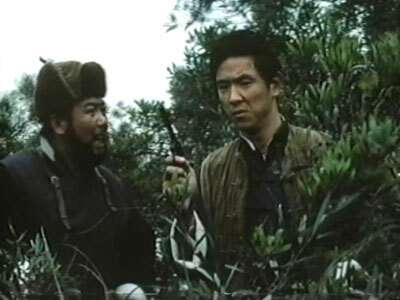 With his regular cast in place, such as Hsu Feng, Han Ying Chieh and Pai Ying in addition to Golden Harvest and Shaw Brothers profiles such as Angela Mao, Hu Chin and Wei Ping-Ao, the stage is populated with dependency and King Hu does indeed get excellent performances to aid this tension. Especially from Tien Feng and the fiery eyed Hsu Feng as his closest guard. 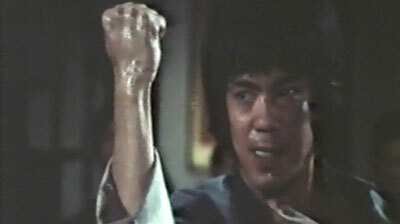 When the action climax hits (action was directed by Sammo Hung and Han Ying Chieh), it can be argued that The Fate Of Lee Khan goes down conventional routes (but partly King Hu has at this point transferred more to the more relevant kung fu movie) but for scaled down story, the choice to erupt into fighting is valid and the duo’s work registers as exciting. Also with Roy Chiao and Li Lihua.